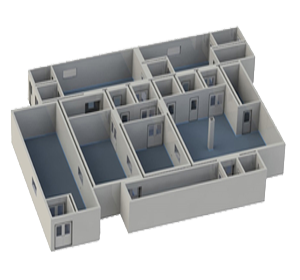 Our CLEAN3 Turn-key Systems include all of our base components plus flooring, lighting, HEPA filters, HVAC Systems and more for a fully customized cleanroom. Our CLEAN3 Deployable Systems are designed and manufactured to fit any application. Our CLEAN3 Softwall Systems are available up to Class 100 (ISO 5), each equipped with HEPA filtered modules and available in both standard and custom sizes to meet your needs. Our CLEAN3 Cold-Room Systems are the perfect match to all of our other Modular System products. 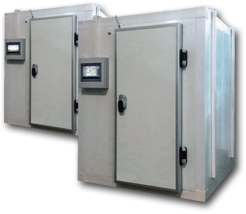 Our CLEAN3 Walk-In Incubators are constructed of pharmaceutical grade components and feature an internal temperature control and monitoring system. 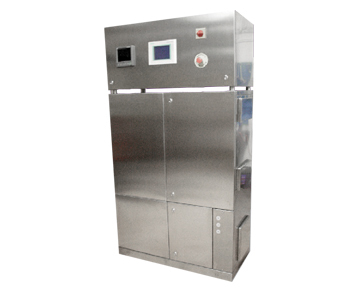 All of our CLEAN3 Bio-Decontamination Generators with H2O2 vapor (hydrogen peroxide) are designed for the bio-decontamination of sterile areas and cleanrooms. All of our CLEAN3 wall panels are extremely resistant to the occasional bump by a cart, or other metal object eliminating the extensive wall repairs of conventional drywall systems. All of our CLEAN3 Systems include flush connections between floors, walls and ceiling and are in compliance with cGMP rules for easy-to-clean surfaces. All of our CLEAN3 Systems feature several types of doors including Swing-out, Roll-up, or Sliding. 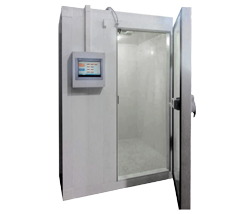 Each door is designed in accordance with cGMP standards and FDA requirements. All of our CLEAN3 windows are double glazed and fit flush with all surfaces of the wall panel system. This allows easy, smooth window integration with wall panels and doors. All of our CLEAN3 Systems are designed with dual ceiling systems that create a space within a space, reducing the effort required for air balancing, and requiring less duct work and HVAC equipment. All of our CLEAN3 Turn-key Systems include HVAC Systems with Terminal HEPA Filters suitable for environments ISO 5 and above. All of our CLEAN3 Turn-key Systems include Terminal HEPA filters. 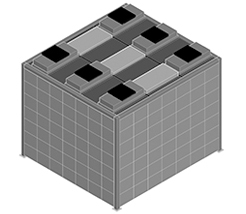 We offer a variety of HEPA Filter sizes and fan filter modules, air returns, ducted modules, roomside replaceable modules, and grid-less cleanroom ceilings. All of our CLEAN3 Turn-key Systems include two flooring options: PVC and trowelable epoxy. All of our CLEAN3 Turn-key Systems include a complete standard lighting package with state-of the art LED lighting for low energy consumption. All of our CLEAN3 Turn-key Systems includes a full Fire Suppression System with high-speed fire suppression, damage reduction, high-visibility allowance and floorspace savings. All of our CLEAN3 Turn-key Systems include Project Managament services such as designing, budgeting, analyzing forcast, tracking progress, reporting costs and finally project completion. All our CLEAN3 Turn-key Systems may be fully customized for any application. We offer a variety of optional components at an additional fixed cost. 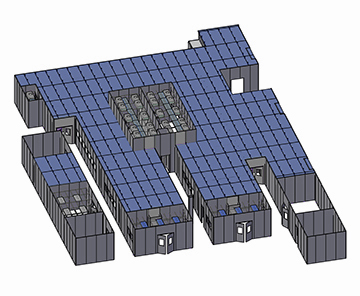 CLEAN3 exhibits their Modular Cleanroom Systems and Aseptic Pharmaceutical Processing Equipment nationwide. We look forward to meeting you and discussing solutions for your next Cleanroom Construction project. and trends within the Cleanroom industry. Here are a few of our recent projects.